* Must be 12 years of age or younger to participate. * Each age group will have a designated area to hunt. * Each age group will have a designated time to hunt. 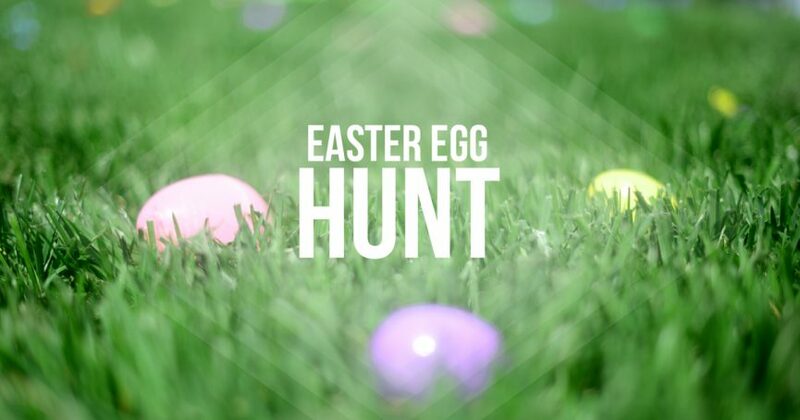 * Children 3 and under may have one adult egg hunting with them. * Children 4 and over will egg hunt on their own. 3 and under (one adult per child) – 2:00 p.m.
Special Needs (one adult per child) —2:00 p.m.
4-6 (NO ADULTS) – 2:15 p.m.
7-9 (NO ADULTS) – 2:30 p.m.
10-12 (NO ADULTS) – 2:45 p.m. Anyone who would like to donate the plastic eggs back to the park for next year’s hunt, we will have a collection box set up under Shelter 1.